This Caran d’Ache 844 Mechanical Pencil reveals some new facets of its personality. 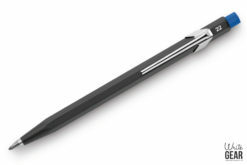 The famous 844 line of pens is now enhanced by a very appealing, highly practical mechanical pencil. 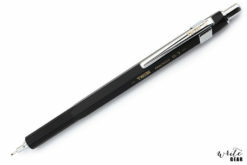 Composed of aluminium, it is light yet strong making it a highly durable pencil. It is also easy to grip and sits comfortably in the fingers due to its hexagonal body, perfect for long term use without cramping your hand! The flexible clip on the end allows the pencil to be kept on you wherever you go, making it easy to be readily available throughout your day. 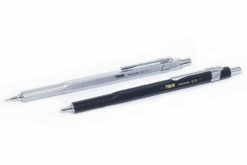 There is also an eraser included to help with eliminating error, making the pencil even more convenient and ideal for obtaining perfection in your work. 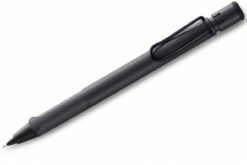 It carries Caran d’Ache 0.7mm diameter lead which is advanced by a push button. 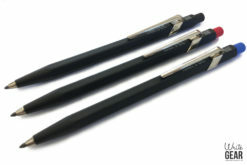 An integrated reserve of this lead is included in your purchase of the pencil, but other brands of lead with the same diameter are also available online through Write GEAR. 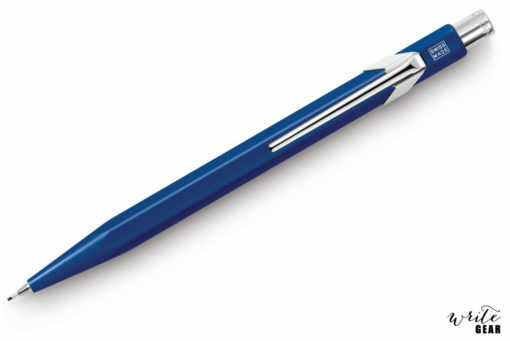 This pencil is available in Blue. Its high quality colour is applied through a means of electrostatic powder spraying technique making it long-lasting. 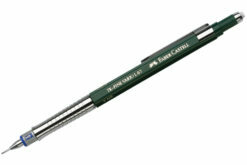 This Caran d’Ache product serves as a fantastic day-to-day writing tool.